Home Club Carlson What Credit Card Gets You the Most Free Hotel Nights? What Credit Card Gets You the Most Free Hotel Nights? Sometimes I want luxury, and sometimes I want quantity. Last week I talked about the Three Best Credit Cards for Free Nights in Luxury Hotels. I’ll look at six large programs: Hilton, Hyatt, Starwood, Priority Club, Club Carlson, and Marriott and credit cards that have sign up bonuses that can be used for free nights in those programs. I will exclude from the analysis discounts for longer stays. I want to figure out the number of one night stays I can do with each program from a single credit card. While the Citi® Hilton HHonors™ Reserve Card gets most of the ink for the two free weekend nights that can get you into almost any Hilton worldwide, it is not the best card for getting a lot of nights at Hiltons. The best cards aren’t even Hilton cards. Getting an Ink Bold or Mercedes-Benz American Express Platinum can be turned into 20 free nights at Category 1 Hiltons. Both cards come with a sign up bonus of 50,000 points in their respective programs. Through a two-step process, those points can be turned into Hilton points. Ultimate Rewards and Membership Rewards both transfer 1:1 to Virgin Atlantic. Virgin Atlantic miles transfer 1:2 to Hilton points, a transfer I’ve made before. With 100,000 Hilton points, you can stay 20 nights at the Category 1 hotels, which charge 5,000 points per night on its new chart as on 3/28/13. Here is a PDF of all Hilton properties and their categories as on 3/28/13. I noticed that a lot of the Category 1 hotels are in Mexico. Most of the Category 1 hotels fall under the Hampton Inn and Hilton Garden Inn brands, the downmarket part of the Hilton portfolio. The 50,000 Ultimate Rewards from the Ink Bold or 50,000 Membership Rewards from the Mercedes-Benz American Express Platinum can be converted to 50k Virgin Atlantic miles, which can be transferred to 100k Hilton points. One hundred thousand Hilton points can book 20 free nights at Category 1 properties. Interestingly the Ink Bold will be the only card mentioned in Three Best Credit Cards for Free Nights in Luxury Hotels to reappear in this post, meaning it is a top card for upmarket and value hotels. It’s also the single best card for earning flight awards, so I think it’s pretty clearly the best single card on the market right now for travel rewards. Just like you don’t want a Hilton card to earn the most Hilton nights, you don’t want a Hyatt card to earn the most Hyatt nights. The Hyatt-branded card earns 2 free nights. Instead you want to rack up Ultimate Rewards. Getting the Ink Bold earns 50,000 Ultimate Rewards. Ultimate Rewards transfer 1:1 instantly to Hyatt points. Free nights at Hyatt start at 5,000 points for category 1, meaning the Ink Bold’s sign up bonus equals up to 10 free nights in Hyatts. The Category 1 Hyatts are mainly in the Hyatt Place, Hyatt Regency, and HYATT house brands and are mostly around airports in the US. The full list of Category 1 hotel is here, and here is the full list of international properties. The 50k Ultimate Rewards sign up bonus of the Ink Bold can be transferred to 50k Hyatt points, which is enough to book 10 nights at Category 1 hotels. Starwood’s chart has the cheapest free nights for the bottom-tier category at only 3,000 points per night and only 2,000 on the weekends! Starwood has 40 Category 1 hotels worldwide. Most of the properties are the budget-friendly Four Points by Sheraton and Aloft brands. Here are the three European properties. Getting a Starwood credit card can mean up to twelve free nights if the entire 25k Starpoint bonus is used on weekends at Category 1 properties. 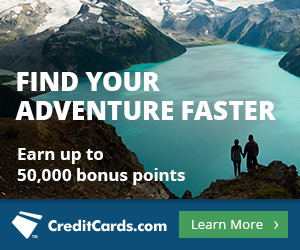 There is an 18-month old thread on FlyerTalk that keeps an updated link to Marriott card offers with a 70k point sign up bonus, plus one free night at Category 1-4 properties. Marriott Category 1 hotels go for 7,500 points, so 70,000 is enough for nine free nights. The extra free night certificate makes the card worth ten free nights. The Marriott card with 70,000 bonus points and one free night certificate equals 10 free Category 1 nights. 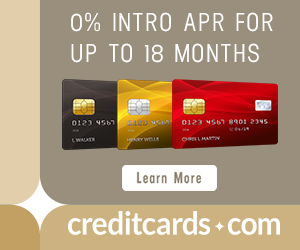 Club Carlson’s credit card has the highest headline figure at the moment, with an 85,000 point sign up bonus. But does that equal the most free nights? Category 1 hotels on Club Carlson’s chart go for 9,000 points. Category 1 hotels are mostly Country Inn & Suites and Park Inn properties, but there are some Radisson Blus and Radissons sprinkled in. There are also more European and Central American hotels in Category 1 than most of its competitors offer. The 85,000 point Club Carlson card is enough for at most nine free nights. This is a further example to ignore the headline number and explore an offer’s true value. This FlyerTalk thread reports an 80k Priority Club credit card offer. This could be worth up to 16 free nights. Category 1 on Priority Club’s chart is 10k points per night. But there is a way to stay at Priority Club hotels for 5,000 points per night, a 50% discount on Category 1 and a 90% discount on Category 10. Every few months, Priority Club puts a small group of hotels on the PointBreaks List. The PointBreaks nights are heavily capacity-controlled, but they only cost 5k points per night. I have written about Best Practices for Maximizing the PointBreaks List before. PointBreaks hotels can be any brand in the Priority Club portfolio. Category 1 hotels tend to be Candlewood Suites and Staybridge Suites. An 80k Priority Club offer is enough for eight free Category 1 nights or 16 free PointBreaks nights. 50,000 Ultimate Rewards after spending $5,000 in the first three months. Get 20% off airfare, hotels, car rentals and cruises when you redeem through Ultimate Rewards. For example 50,000 points is worth $625 in travel rewards. Starpoints transfer to dozens of airlines at a favorable rate. 35,000 more after $2,500 in spending in the first 90 days for 85,000 total. On award stays of 2+ nights the last night’s points are refunded meaning that a 2 nights stay is half price. If believe that the Club Carlson card gives you a free night when you stay at least two nights so the 9 nights you mention could actually be 18 nights, which by the numbers is the best card out there. Great post. Very helpful. It’s good to be reminded about the value of UR points. It would sure be nice if Chase came up with a few more cards that earn UR points! Club Carlson seem to be the most difficult to get approved, when like us , you have most of the other cards – United bank denied us , despite our excellent credit and no late payments ever – after calling the recon dept 3x ! We had never been denied before – “too many credit inquiries & cards ‘ – being their reason. than 3 CC ‘s or inquiries – would love to get the Club Carlson CC ???? – they must be losing out to Chase & Amex in this area ?? I had to fax them my ss#, apartment lease and recent paystub to get a Carlson Card after being turned down for too many credit inquiries. How about a list of hotel properties by catagory to help buget minded people plan low cost travels? I tried to link to each hotel chain’s lists like that in this post. Thanks, just wish they were listed by category rather than area. It would be nice to look for cheaper places to see if any were in areas I might like to visit or places I had not considered. I imagine if I was a little more computer savvy I could sort them myself. Two things…. I think you meant to put a link to the Ink Bold card, but it just says “Application Link:” with no link following. Also, the link to the Mercedes Benz card goes to an error page on Amex… I guess they discontinued that offer? Thank you. It looks like the error was caused by AMEX upping the min spend to $3,000 on the card. I have corrected the link. Really timely & useful info – thanks! I am finding the “bonus” nights will make a difference for me – thanks for calling them out in the app info. While you can get 20 nights at Hilton’s lowest categories, it’s very very difficult to find them and as a percentage of total properties, it’s very low. In my experience, the Hyatts at 5000 points are pretty nice and are actually available in cities with more than 10,000 people. Very helpful post, one that I’ll refer to frequently, but I’m with Johnnie D., and getting pretty good at targeting Carlson for my two-night stays (though generally at their better properties). The bonus night is automatic in the booking process, and to me really elevates this program’s stature. Nice. I really want to get that card. I recently stayed at two 9,000-point Carlson properties in Europe and they were very good. Not excellent, but much better than one might expect for the price. The last-night-free deal with the credit card makes it a screaming deal. Only Starwood and Hyatt have category 1 hotels look to be actually worth staying at (and in cities I have actually heard of). The category one hiltons are pathetic (and i think there are more category 10’s than 1’s in USA). Club Carlson had some decent category 1 before (Orlando, I stayed at Park inn DFW on layover), but post 5/1 seems like nothing appealing. I see your logic but I think 2-for-1 club carlson is easier to take advantage of (standard room, set hotel category) than pointbreaks (capacity controlled, planning 0-90 days). I would recommend putting a note on club carlson (up to 18). I think you are skewing the data by not counting Club Carlson as 18 free nights for the 85k bonus. I think that card should be ranked near the top. The second night free on an award stay is why the card is getting all the buzz right now. It’s the main feature of the card. It is also incredibly easy to earn additional points with the 5x on all spend. If you are trying to find a reason to not list it as the best hotel card, then point out that they do not have the number of properties that Hilton or Marriott have. But if Club Carlson has properties where you are looking for a hotel, it is a no brainier as one of the best hotel cards. But, as many have commented on the blogs, burn your Club Carlson points quickly – don’t save ’em. Their current offers are unsustainable long term, and they have a history of changing T’s & C’s without warning (they are not a “trustworthy” program).